An early start and long trip to Ashford at least meant BEHC U16 girls were greeted by sunshine on arrival, rather than enduring the threatened storms back home. A rather sleepy warm-up, off the back of some late nights (Lesson 1! ), suggested the girls weren't entirely switched on to the likely demands of stepping up a league from last season. And so it proved - it was the second quarter of the match before BEHC ventured out of their own half. 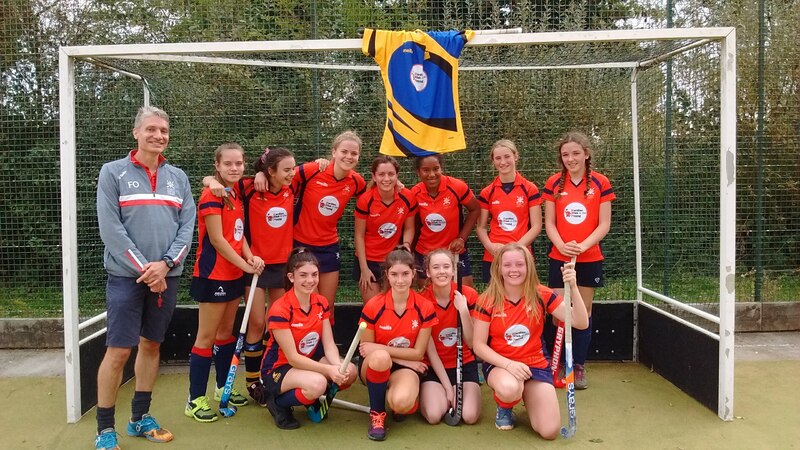 In this period Ashford opened a comfortable lead, with BEHC's heroic stand in U14 keeper, Katie Brown, taking an early and unassailable lead in the player of the match contest often the main barrier to the Ashford onslaught. More quietly, Neve Prior, was making an assured debut at centre back, showing some good positional sense. The whole defensive unit (defenders and midfield) needed to step up the quality of their link up play. 16 yard hits are meant to start possession for us, not the other team! (Lesson 2). Gradually, BEHC found some self belief (Lesson 3) and strength on the ball (Lesson 4) which led to some attacking possession. Some neat link up play saw captain for the day Matilda Edney-Harrison put Robin Giwa in the clear, but despite a clever left to right run that kept defenders away from the ball, and an early shot that surprised the Ashford keeper, the ball slid agonisingly just wide of the left post. A first short-corner gave further encouragement, and half-time arrived with some positivity, despite the negative scoreline. Some restructuring at half-time moved Ella Griffiths to centre back, with some improved distribution as a result. She was ably assisted in centre-back duties by the still assured Neve Prior and Maddie Farrell. Lily Vallance-Bull moved to centre midfield, and alongside the equally energetic Matilda Edney-Harrison and BEHC's own duracell bunny Alex McAulay, started to shift the balance of the game back in favour of the away team. BEHC also started to attack successully from wide, with Alice Outen and Frances Stratton-Killick driving the ball deep into the the Ashford half on a regular basis. As Caitlin Kinch and Mia Walker started to get the hang of dragging defenders away and then leading back into space, more and more forward opportunities arose, and while the score continued to extend in Ashford's favour, the second half was a different game entirely. Despite heavy legs and tired bodies, BEHC kept fighting till the end. Robin Giwa, now at centre-forward, led from the front, forcing a number of turnovers; Alex McAulay continued to be the quickest and fittest player on either side; and Lily Vallance-Bull started to boss the midfield. No goals, but a couple more short corners, and half chances provided a positive end to an improving second half of this useful first test in the A league. Finally a big thank you to Chris Brown for umpiring with the Ashford coach. Great job both!